1997 Timberjack 2618 Processor. 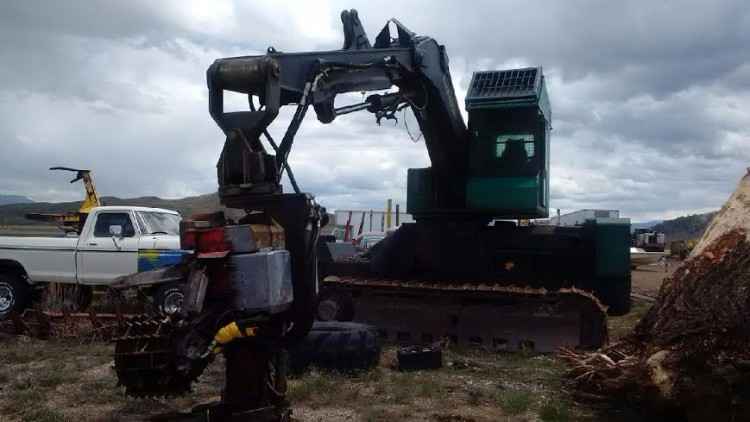 This machine has 7,429 hours, 8.3L 6CT Cummins motor complete rebuild 457 hours ago, pumps tested and are all within specs, both planetary drives rebuilt, undercarriage is at 30%, sprocket is worn, machine has a 2000 Logmax 750 dangle head, but is still plumed for hot saw, boom pins are tight with no slop, leveling pins have a little play but not bad. Contact Aaron @ Red Pine Equipment 218-720-0933. Machine is located in Southwest USA.